Welcome to JingleSamplers.com! On this site you'll be able to listen to and/or download some great-quality radio jingle montages containing cuts from PAMS of Dallas and other legendary jingle companies. Except as noted, these samplers were originally complied by jingle aficionado Ken Deutsch of Ken R LLC fame. 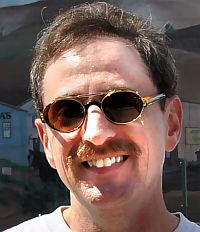 This site was created and is maintained by Ted Tatman. February 22, 2019: Added four more TM demos here: Classic Hits, Have You Heard The News, You Are The Words, and Your Custom Combination. December 9, 2018: Added more William B. Tanner and Media General jingle demos here. Created a Jingle Potpourri page, which features a hodge-podge of items that don't fit anywhere else on the site. 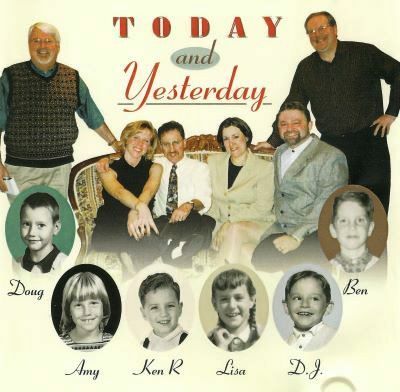 Added audio items to the Anita Kerr, Bill Meeks and Century 21 pages. 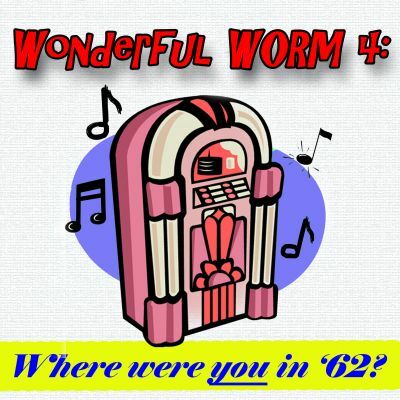 Check out the newest installment of Ken Deutsch's hilarious parodies of early 1960s small market radio, Wonderful WORM 4: "Where Were You In '62?" I know that many of you are very interested in obtaining particular jingle packages or CDs from my former catalogue. In 2005 I retired from selling and trading jingles. Even though I get frequent requests via e-mail and phone from collectors, I must politely decline each one. However, there is some good news. Ted Tatman, my friend and the man who set up this site, may be able to help you. Instead of contacting me, I suggest you write to Ted at ted@tedtatman.com. I am always available to identify unknown jingles or to answer any questions about jingles or collecting, but if you wish to obtain specific jingles, Ted is the guy to talk to. Thanks! 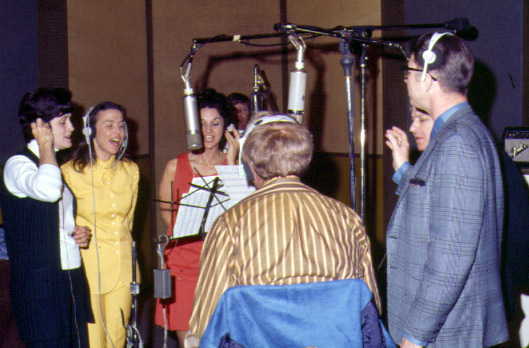 A PAMS vocal session in 1970. L-R: Libba Weeks, Mary Jo Grogren, Jackie Dickson, Jim Clancy, Marv Shaw, Billy Ainsworth. Back to camera, unidentified. ©1970 Pat Appleson Studios, Inc. All Rights Reserved, Used by Permission. But before I owned the studio, I was a jingle collector or "jingle freak" as some people put it. That meant I would beg and borrow jingles from friends, radio stations or DJs and get analog (and sometimes hissy) dubs of them. I started collecting in about 1964, but didn't know anyone else did this until about 1970 when Jon and I began corresponding. You mean there are OTHER folks who collect these? Cool! A small group of us used to exchange what we called "sampler" tapes, which featured the best of our new acquisitions in montage form. Jon Wolfert, Ken Justiss, Ron Harris and a few other crazies were the best at assembling these. I began putting together my own "mix tapes," and had great fun with it. In 1980 I lucked into an unusual purchase. 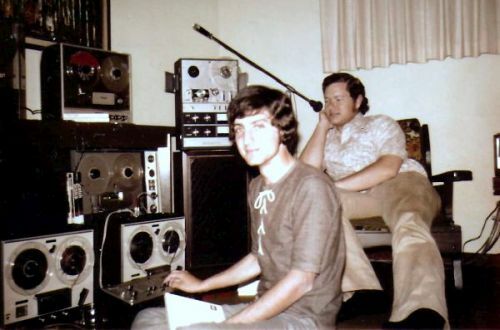 I won't go into the details here because the story is told in my various books, but suffice it to say I ended up with over 3000 reels of primo PAMS jingles from the company itself, including the instrumental (backing) tracks. Since that time I have continued to put together these "samplers," for my own amusement and for the amusement of a few friends. Now, through this wacky thing called the Internet, I am able to share them with a wider audience. I do not sell these samplers; they are free to all who wish to enjoy them with me. If you enjoy PAMS jingles, or even jingles from other producers, have fun! If you REALLY like PAMS jingles, buy some from Jon Wolfert at JAM/PAMS in Dallas! And please feel free to write me with any comments or suggestions! Formerly known as "Ken R."
My first day on the air was at WCBN(AM), the carrier current student station at the University of Michigan, but one heard only in the dorms and student union. In 1969, I was 18. I had a lot more hair, and even a spotty beard and moustache. With my granny glasses I looked like John Lennon, but less handsome and with far less talent. There must have been tens of people listening to WCBN then, which was just as well. Cousin Brucie was in no danger from the likes of me. My "training" consisted of watching an experienced DJ named Dave Cook shout his show from about from 12:45 p.m. until 1 p.m. when it was my turn. He believed that if the entire show pegged the VU meter, it would be louder on the air. Actually that was not true, but "The Dave Cook Show" (or as he referred to it, "Shut Up and Listen") was certainly quite distorted so he should get credit for that. His theme song, played at the start and end of his show, was "I’m A Man" by Chicago. Subtlety was not his strong suit. My two hours on the radio went by like a bullet-train. The aircheck of that day is embarrassing for me to listen to because I tried so hard to sound like a disk jockey that it seemed like I was about to puke, which I probably was. I managed to avoid major gaffes, but certainly did not add anything of merit to the station that day, or ever. My lack of talent in this field of endeavor didn't stop me from plugging away as a small-time professional radio DJ for another seven years at various commercial stations in Michigan and Ohio. I was not the worst jock on WCBN; that honor was reserved for another chap who will remain nameless. This guy had an identity problem as he used a different air name every day. My immense ego at the time was totally unjustified by my low level of expertise. In other words, I thought I was filet mignon on a hot platter, but I was just cold Cheez Whiz on a paper plate. This list is presented for historical and references purposes. Ken is no longer selling these discs. 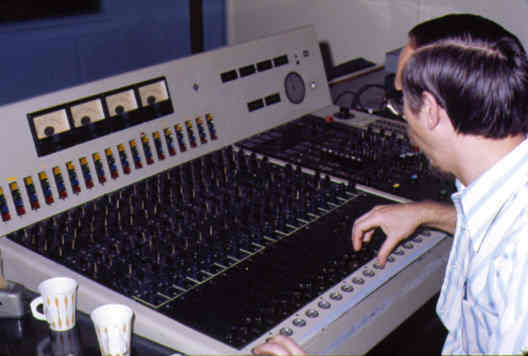 Engineer PAMS Bruce Collier at the console working a jingle session in 1970. Pat Appleson, who was visiting PAMS to supervise the recording of his station's jingles, remembers: "For a console not located in NY or LA, this had a LOT of knobs on it. As I recall it was a Telefunken with four busses. At the time these were branded with the Neumann Logo & sold in the USA by Gotham Audio. Lots of EQ was available and Bruce the Engineer told me that he usually put just two or three db at 3.6k on the vocal mikes. I think the reverb was an EMT 140 plate, it sounded full, sweet. The round buttons on the bottom were PFL's that he used as solos on the vocals. In the photo above he's checking three vocal mikes at once to hear if they all start singing at the same time. The full chain was a tube Neumann U-47 on the girls & a tube Telefunken U-47 on the guys. I don't know if that was for any special sonic reason or they just happened to have one of each. Then for the bass singer [Jim Clancy] in the corner of the room, a RCA 77-DX in mint condition. Man this guy had a deep voice! All mikes ran directly into the console and hit a transformer and then transistor electronics. [I may be incorrect about the solid state, but I don't recall the console heating up.] Then the signal went to the tape deck, and on repro, back thru the console into McIntosh Laboratories MC-275's. These of course we huge 75 Watt amps that drove four Altec Model 604 coaxial drivers in stock enclosures above the studio window and approx. five feet from your ears. Warm full sound. No problem!" ©1970 Pat Appleson Studios, Inc. All Rights Reserved, Used by Permission. 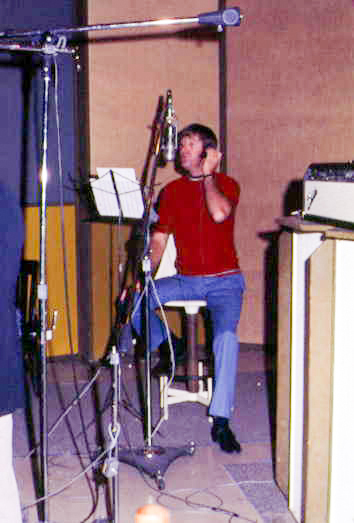 Jim Clancy at a 1970 PAMS vocal session. ©1970 Pat Appleson Studios, Inc. All Rights Reserved, Used by Permission.